WICHITA, Kan. (KSNW) – The list of places in Kansas hoping to land the multi-million dollar Tyson chicken plant is growing each day. State officials now say more than 30 communities have thrown their hat into the ring. Some communities are even working together on the goal. “This would be a great project for the state, for our economic development and for the farmers and ranchers of Kansas,” says Heather Lansdowne, Communications Director with the Kansas Department of Agriculture. Communities are lining up, hoping they’re the one that lands the new $320 million chicken plant. Counties who have come forward include Sedgwick, Seward and Reno. 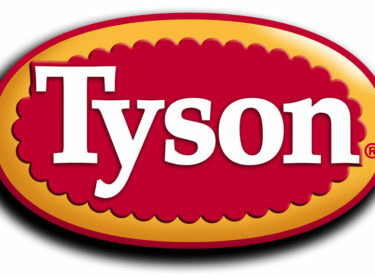 Cloud, Saline, and Republic County are teaming up to try to lure Tyson to a site in Concordia. “We have heard from over 30 communities who have expressed their interest in being considered for the project,” says Lansdowne. Jeff Parsons, Economic Development Director in Liberal says they are working with the Seward County commission and submitted their proposal Wednesday. They’ve selected an ideal site just north of Liberal. “This type of agriculture and production is what we do out here. We have got National Beef, which is a large beef packing plant, so it is a similar industry which our folks know well and are comfortable with,” says Parsons. Ashley Hutchinson, Executive Director of Cloud County Development, also released a statement. “Our rural region understands agriculture better than any urban competitor. We are eager to communicate with our communities in the 81 corridor about the vast economic impact a project like this would bring to our region,” says Hutchinson. The site, which is projected to bring 1,500 to 1,700 jobs, and $150 million annually to the state, may have an even larger impact on the Ag industry. “There is also the grower network so there would be people who would have opportunities to expand their own farm operations,” says Lansdowne.